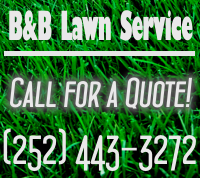 Since 1989, B&B Lawn Service, LLC has been beautifying the Rocky Mount area through our extensive landscaping and lawn services. Our clients include residential and commercial establishments. We began as a trusted family-run company, and have expanded to add more employees in order to be more efficient and effective in taking care of our clients. Because we are still family-managed at the core, you can expect a personal experience where our company reputation and customer satisfaction still matters tremendously. 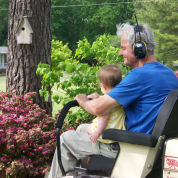 We also utilize a network of independent contractors to meet specialized needs of our customers. If you are not fully satisfied with the work performed by our employees or contractors, we want to know about it. Satisfaction guaranteed! We have an A+ Rating with the BBB. Find us on Facebook.